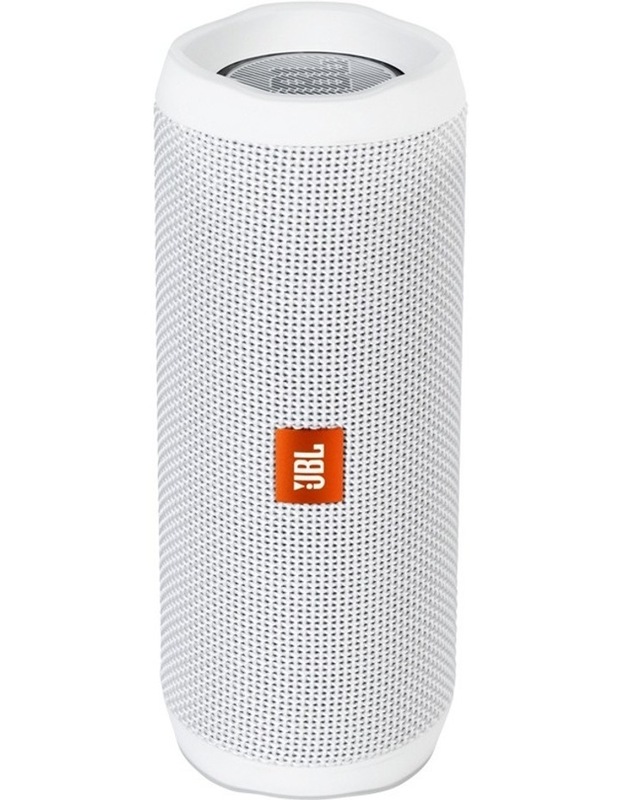 The JBL Flip4 is a full-featured waterproof portable Bluetooth speaker with surprisingly powerful sound with up to 12 hours of playtime. • Link up to 100 JBL speakers together and amplify the party. 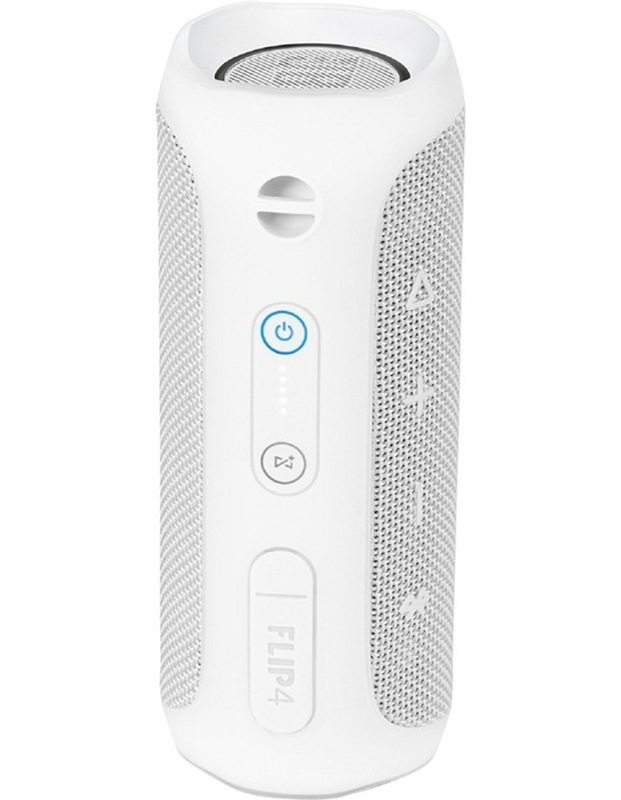 • Built-in rechargeable Li-ion battery supports up to 12 hours of playtime. • Take crystal clear calls from your speaker with the touch of a button. • IPX7 Waterproof means you can even submerge Flip 4 in water. • Feel the bass with dual external passive radiators.